I decided to prep and prime the practice kit to smooth out the process before starting on the airplane. i don’t know if this is the final process, but it was I did for the practice kit. First, I scrubbed all of the surfaces to be primed with a soapy red scotchbrite pad. Then clean with acetone and let dry, then prime with a medium gray self-etching primer. I’ll continue tomorrow. One of the skins, primed and de-blued. 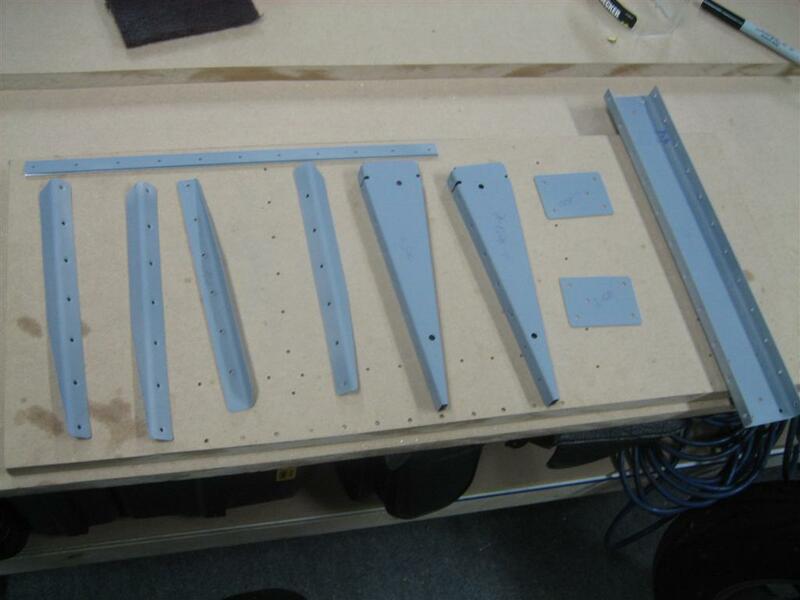 Stiffeners, doublers, trailing edge wedge, spar, and ribs ready to rivet. 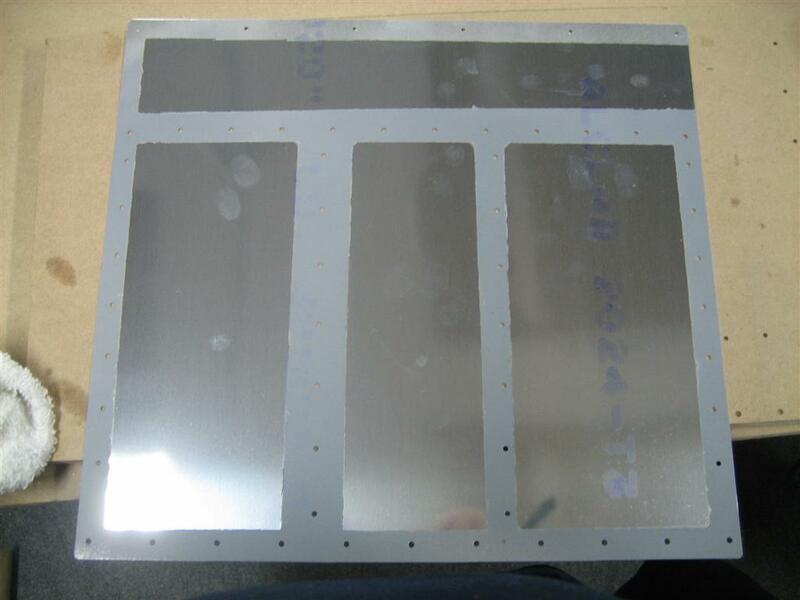 Stiffeners, doublers, trailing edge wedge, spar, and ribs ready to rivet. This entry was posted on Thursday, October 1st, 2009 at 10:30 pm and is filed under Finish Kit. You can follow any responses to this entry through the RSS 2.0 feed. You can leave a response, or trackback from your own site. What primer did you use? Where’d you get it at? $? I am using NAPA 7220 Self-Etching Primer. I picked it up off the shelf of the local NAPA auto parts store (they also have an automotive paint supply store attached (it’s a distribution center, I think), but they should have it at any of the smaller stores.